Istana Harmoni is located in the heart of Jakarta, providing a strategic location to points of interest in Jakarta; from shopping centers, malls. Schools, banks, entertainment centers, all in the surrounding. It has easy access to West Jakarta, Central and South Jakarta's business districts of Thamrin, Sudirman, Semanggi, and Kuningan, JiExpo Kemayoran, and Mangga Dua, the center of electronic goods in Jakarta. This apartment is also in proximity to schools and shopping centre, making it easy for residents to do their daily activities. Istana Harmoni also provides various facilities to ensure the comfort of its residents, including a swimming pool, tennis court, and children playground. The spacious parking area is also available for residents with a personal vehicle. The 2, 3, and 4-bed rooms unit are suitable for newlyweds or families with children. With spacious rooms and numerous facilities, this apartment is available at a premium price. Rukamen is the easiest, most complete apartment directory and listing in Indonesia. 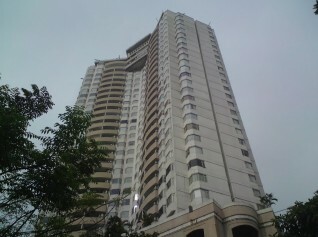 Find apartment informations in Jakarta, Bogor, Depok, Tangerang, Bekasi, Surabaya, Bandung, Bali, Batam.